Two artists share how they have built businesses specializing in portrait commissions. Artist Lisa Cunningham in her studio. I recently spoke with two artists who specialize in creating commissioned work for clients, and asked about marketing, their terms and the process. Taking commissions isn’t for everyone; it requires a mindset where the artist is excited about the collaborative effort involved in producing a personalized piece of art. Commissioned home portrait by artist Lisa Cunningham. Her love of architecture in the landscape led this artist to seek commission work. At first, she participated in juried art shows in her local community, but soon gained business through the referrals of satisfied clients. She also connected with a local framer who began sending business her way. A close friend commissioned Cunningham to paint a portrait of his golf club, which was displayed in the lobby and resulted in even more referrals. Waterfront home portrait by artist Lisa Cunningham. Artist Patricia Mitchell at work in her studio. “Zach’s Big Catch” commissioned portrait by Patricia Mitchell. 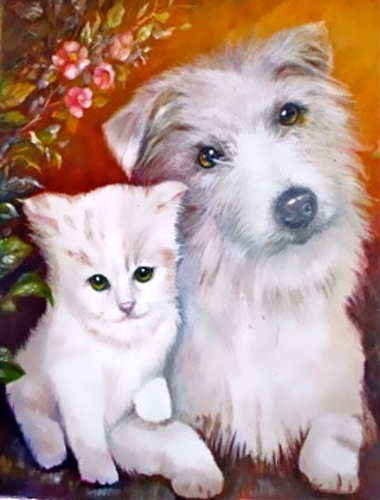 Pet portrait by artist Patricia Mitchell. 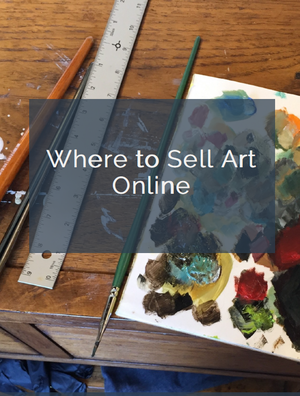 Artists who are seeking commission work may want to consider online sites for this purpose, including The Commissioned, Portraity or Custom Made, as well as designing their website around this business model. And since referrals are such an important factor in gaining commissions, follow up marketing such as email newsletters can be effective as well.